Check the box for graphing story A. Then move slider t from 0 to 50. 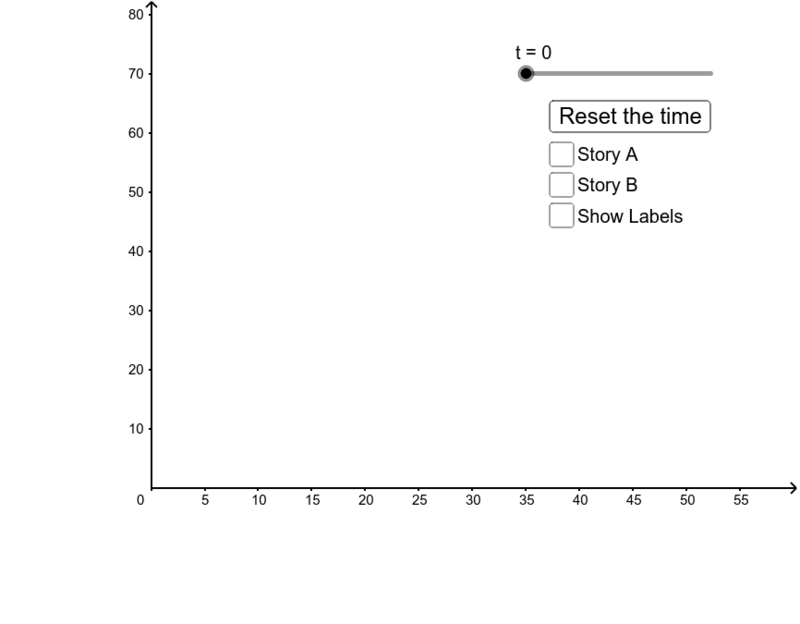 Using what you know about graphing stories, write this story on your paper. Turn of Story A and reset the time. Now check the box for graphing story B. Move the slider from 0 to 50, and write the story on your paper. Reset the time and go through the process again with both stories checked and the labels revealed. Write a new story on your paper using the new information. How does this story compare with your original stories?